I am officially a Oiselle ambassador! Oiselle makes extraordinary running clothes for women. The design is clean, sporty and modern. There are no boring paisleys, hoaky florals or in-your-face street rat prints. The colors are imaginative but tasteful. They don’t just recycle the tired formula of black, bluish and pinkish season after season. The fit is streamlined and not size-inflated. And the performance is top-notch. But what I love most about Oiselle is that they are the labor of love of a small but mighty group of women runners in Seattle who believe women should be able to wear what they love when they run. And based on their Twitter feeds and Facebook page, they have an awfully fun time plying their trade. I got turned onto Oiselle when I discovered their running tees. So much to love in a simple t-shirt! Oiselle’s tees showcase the soul of the company and speak to women runners in a way that I’ve only seen from marketing behemoth Nike – except Oiselle would never be caught dead making a t-shirt like this. Oiselle’s motto is “go fast, take chances.” While I can’t represent fast like the some of the elite and ambassador runners on the team, I can represent the sense of daring that thrives in so many runners. That gumption that spurs runners to trot up that massive hill after staring at it, contemplating, “How bad could it be?” That desire to push beyond what’s known. Those moments when we ask ourselves: “What if I turn that corner on this trail? Wonder if there’ll be a view?” or “OK, I’ve run a 10K, what would it feel like to run a half marathon?” The chance we take when we decide to try running despite never having been active before. That’s what my Oiselle racing singlet will stand for. This entry was posted in Oiselle team by On these feet. Bookmark the permalink. 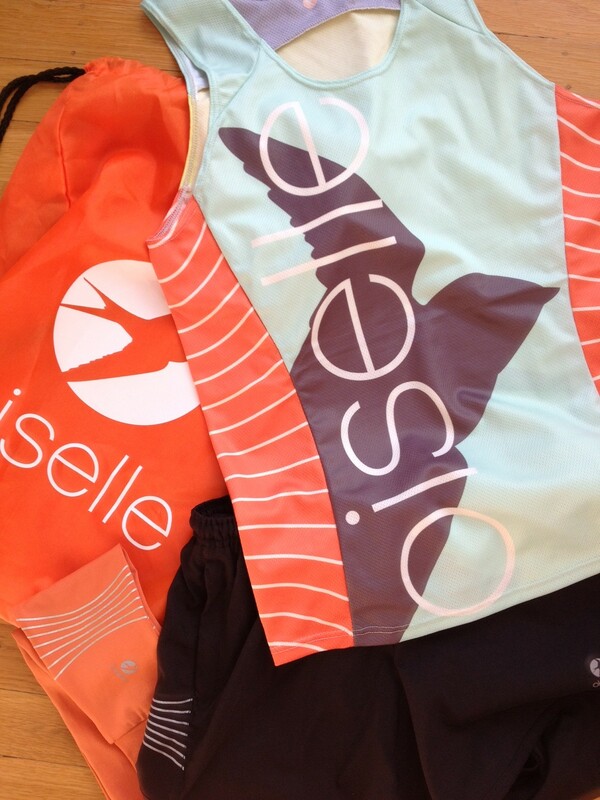 Glad to hear you are an Oiselle fan! To inquire about becoming an ambassador runner, email the #oiselleteam manager and she will get back to you: kristin at oiselle dot com. Happy running! How did you become a Oiselle ambassador? I LOVE Oiselle!